Join BioGuard Poolside and experience a rapidly expanding world-class pool and spa retail network.. If you’ve ever wanted to be one of Australia and New Zealand’s leading edge pool stores, now is the perfect time to dive in. BioGuard Poolside is rapidly expanding our world-class pool and spa retail network and we want to work with you! 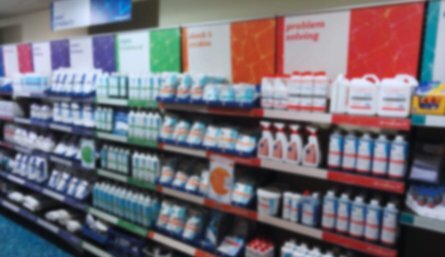 Businesses that have converted to BioGuard Poolside stores have experienced above average industry sales growth, so why not take the plunge? We provide full training, including initial product training, ongoing store support, store planning, benchmarking programs, marketing promotions throughout the year, site visits, conferences and special programs funded by BioLab that will help you attract even more customers. Apart from partnering with the most respected brand in pool and spa chemicals, you’ll also be working with another national and global industry leader, Hayward. BioGuard Poolside is not a franchise and there are no entry or ongoing fees, leaving you free to own and run your own business. Call 1800 635 743 (AU) or 0800 441 662 (NZ) and we’ll give you all of the information you need to become a BioGuard Poolside store. Fill out your details below to request more information about becoming a BioGuard Poolside retailer.